August 1, 2011 Adri H.
In an earlier post, I posted a sneak preview of this sweater vest. The yarn used was Classic Elite Yarns Fresco, and it's an amazingly soft yarn. 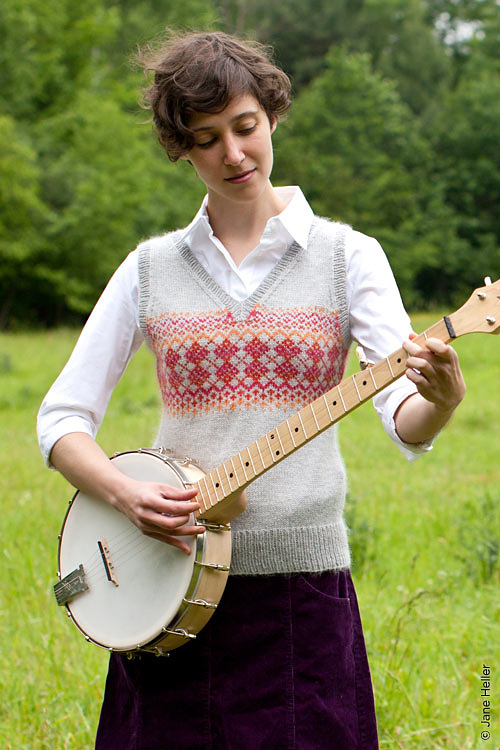 Check out this new pattern in Twist Collective's Fall 2011 issue here or at their shop here. It was such a surprise to see the vest accompanied by a banjo! Love it!